Your Data. Your Doctor. Your Way. We bring robustness, trust, and efficiency to future proof healthcare procedures. We facilitate the smooth exchange of data between patients, internal departments and hospitals, to reduce errors, fraud and cybercrime, ensuring ownership of data is with the patient. Healthureum is a new revelation in the crypto sphere that combines blockchain and healthcare to bring the best of both under one roof. 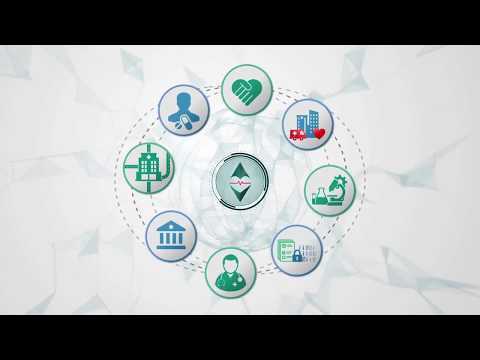 The Healthureum platform is designed on the Ethereum based blockchain using smart contract technology to significantly improve efficiency and interoperability of healthcare services. The Healthureum token, which is at the epicentre of the project and abbreviated as HTH, is primed to be used as the transactional medium of choice for the new and upcoming platform. The ecosystem will facilitate payment for services rendered using the HTH token and similarly will act as a medium for reward to compensate medical practitioners who offer referrals and second opinions within the Healthureum network. Laboratories and clinics that carry out diagnostics and tests for Healthureum patients will be rewarded with HTH tokens. The token will provide a fast and efficient method of payment which can be used for services globally. It is peer to peer so no third party fees and operates on the blockchain so no mistakes or delays. Healthureum has come into existence to bring innovative blockchain based solutions to tackle healthcare's biggest challenges. The tokenisation model adds another layer of innovation, to bring our solutions to a global audience and facilitate secure and speedy payments between stakeholders. This ensures our users have access to the best expertise without needing to travel or suffer international fees. The token will give you access to an array of top class health related services, while managing your complete medical data to ensure privacy and integrity. The Healthureum ecosystem is the first of its kind and will be a game changer in the future of healthcare. The multi-functional ecosystem is designed to transform 'How We Manage Our Healthcare'. There have been multiple start-ups in this space built on the promise of digitizing healthcare records on blockchain since the beginning of this year. But the actual use case has yet to be proved on a large scale. The same challenge lies ahead of team. The team also seems to be small and limited for driving the project in a nation of 1.25 billion people. Founders collaborated with a common concern for the future of healthcare. Healthureum basic initiatives outlined with six fields of focus. Research into healthcares recent surveys to quantify the challenges and potential of blockchain applications. Welcomed on board key members, and identified relevant use cases, for our initiatives. SWOT analysis of different blockchain applications based on data size and type. Structured development plan and key milestones for next 18 months. Decided on a tokenized approach to help bring this concept to the masses. Developed marketing strategy and preparation for TGE to start in December. Launch of website, social media marketing and testing of registration platform for TGE. Launch of Pre-Sale TGE, bounty campaign and teaser strategy. Launch of TGE Sale, full scale PR and marketing campaign. Registration for listing on exchanges to facilitate token. In depth financial planning to allocate TGE funds appropriately. Define framework for collecting a standardized data set, to be used in Alpha model for data systemization. Testing of Alpha data systemization app between patients and two pilot hospitals. Consolidate data and credentials for local doctors, specialists and pathology labs for referrals feature. Create Beta version of data systemization app and float into two pilot hospitals to implementation and testing. Develop Alpha model for virtual doctor consultations and referrals. Make any necessary revisions while checking regulatory and data privacy compliance. Then introduce to 5 hospitals for implementation. Float Alpha model for virtual doctor consultation and referrals for testing. Address any scalability concerns before introducing data systemization to 5 more hospitals. Launch Beta virtual doctor consultation and referrals. Look to integrate blockchain-enabled research programs and philanthropic activities sided by side.